Sure to create a double take, our unique Levi Accent Table features a curved steel base finished in coffee bronze, counterbalanced on a block of natural brown marble, complete with a thick beveled glass top. Available to trade professionals at Uttermost.com. 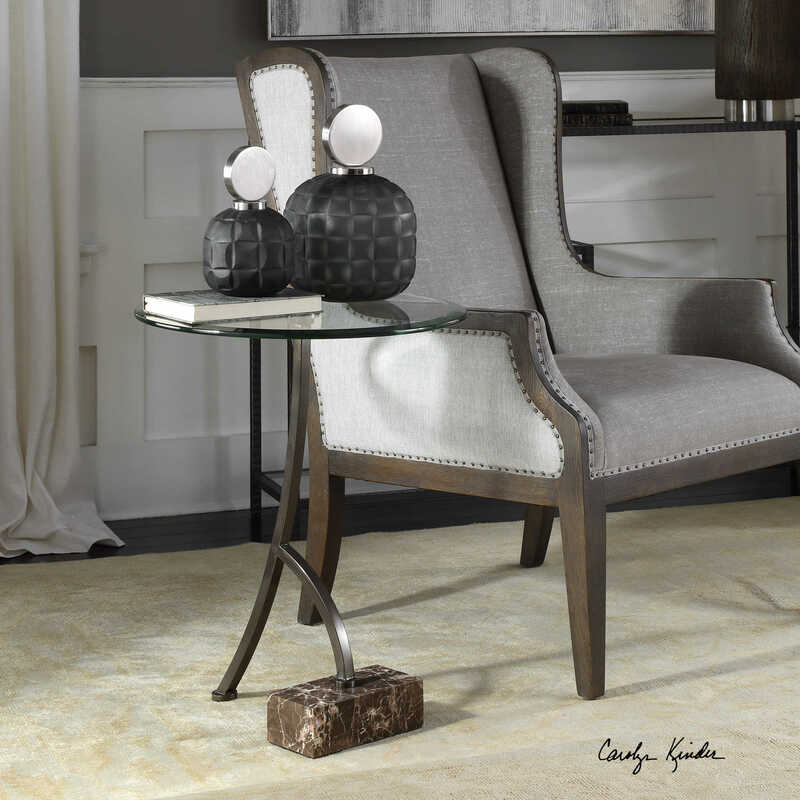 For retail purchase Google search term “Carolyn Kinder Levi Accent Table”.